I do not support Gov. Ducey’s and the Republican-controlled legislatures political theatrics when it comes to education investment. Ducey and the GOP’s drive to slash taxes for the benefit of corporations and the top 1% is the reason Arizona is still among the bottom in national educational rankings, and Ducey’s unwillingness to actually fund teacher pay is a major contributing factor. Arizona’s public schools have been neglected; our children have been neglected, by lawmakers for too long. It’s time for actual solutions instead of slogans or clever sound bites. If Ducey and Republicans in the legislature were serious about teacher pay and the poor state of our schools, they would be finding ways to fund it instead of prioritizing tax cuts for corporations and the top 1%. Let’s dispel with the notion that Arizona’s school funding crisis was somehow unavoidable. Despite a growing economy, funding for public schools is still at below pre-recession (2008!) levels because our Republican-controlled legislature has prioritized cutting taxes for corporations and the top1% over everything else. Funding education isn’t rocket science: we need to stop the cuts, end the loopholes, and increase revenues by requiring corporations and the wealthy to pay their fair share. Charter schools were sold to the public as laboratories of innovation. But any real experiment would come with accountability and transparency so results could be duplicated. Our current charter system operates with so little transparency a recent investigation by the Grand Canyon Institute found a majority of Arizona charter schools engage in some level of self-dealing. The problem of school segregation is increasing thanks to the charter school movement’s push for “school choice.” Don’t just take my word for it: a 2017 investigation by the ACLU of Arizona via their Demand2Learn campaign found that the majority of charter schools have discriminatory enrollment practices. Charters were found to be openly discouraging enrollment from students with disabilities, English Learners, and even students from impoverished backgrounds. 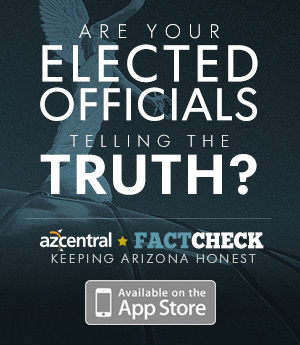 Without a complete overhaul to the rules that govern charters in this state, school choice remains a false choice for Arizona’s most vulnerable students. If we want safety, we need common sense reforms. After being visited by different youth groups throughout the session and witnessing their actions at the capitol, I am convinced something must be done to address how violence is made so much worse with the ready availability of guns and how easily they end up in the wrong hands. I believe that expanding universal background checks will save lives. I believe real Red Flag laws, ones that are not designed by the NRA, will save lives. I believe safe storage will save lives. I believe raising the minimum age for purchase will save lives. I believe bump stocks only exist to do a lot of harm to a lot of people quickly, so they and any military-style weapon should not be available. Any attempt to add more guns to the problem is not out of concern for lives but gun sales. The violence we are choosing to live with is because there are so many guns too readily available to people who shouldn’t have access to them. After common-sense gun reforms, we should start by providing preventative resources to students. Right now, Arizona has a ratio of 924 students for each school counselor. The recommended maximum ratio is 250 students per counselor. Having these professionals on hand to help Arizona’s young people who are experiencing record numbers of Adverse Childhood Experiences would be a productive place to start. A 2018 study by Child Trends found Arizona’s youth face far more adversity, neglect, and abuse while growing up than most children in our country. If we were serious about the health and well being of our youth, we would undo all the purposeful cuts to child welfare and family programs. I view taxes as promises. Promises we keep to those of the past and promises we make to those who come after us. We are still paying off past promises of investments; schools, hospitals, all kinds of infrastructure and everything we couldn’t accomplish alone. If we want to continue making great things or even maintain what we already have, we would proudly invest our taxes as promises we make for those who come after us. Having lots of money shouldn’t absolve you of having to account for how you benefited from others taxes or from paying it forward. Taxes should be viewed as a privilege to be able to contribute to our shared success. It’s why I support the #INVESTinED initiative, though the problem of our underfunded infrastructure is much broader: we live in a state where working people are asked to invest a higher portion of their income in taxes than Arizona’s wealthy 1%. If anyone should be paying fewer taxes, it would be people working 40 hrs at min wage just to exist in poverty. The sky never fell in any of the states that have legalized cannabis (weed), most problems are with where to put all the money, and being able to scale up production. The drug war is racist and works better as a means to lock up people of color than to address drug availability and usage. Prohibition only pushes the economy underground. Cartels reap untold profits. Arizona gives millions of dollars to private prisons to lock thousands of us for mostly non-violent offenses. We end up spending more on police and prisons than on vital public services. Just for a few to impose righteous punishment on a personal choice. I’ve introduced legislation in the past to end the prohibition of cannabis and will continue to support efforts in the future. Arizona is one of the worst states to seek an abortion in. We need to enact pro-choice measures to protect women’s right to choose and strike from our laws, measures that seek to criminalize access to reproductive healthcare. Arizona currently has an abortion ban in statute. It’s currently unenforceable, but Republicans have refused to overturn this law in hopes of an eventual SCOTUS ruling to reverse Roe v. Wade. Should Roe be overturned, Arizona’s abortion ban would quickly become the law of the land, meaning women would again face prison time for choosing to get an abortion. Republicans in our legislature have chipped away at a woman’s right to choose the healthcare options that are right for her. This approach to restricting abortion is nothing more than an attempt to exert control over women as they make some of the most important decisions of their lives. Placing restrictions on providers does not protect women’s health. For abortions to remain safe, they must be legal. We are living in a 20-year drought; this isn’t bad weather, we changed the climate. Our water concerns should be focused on the bigger picture instead of working to keep the status quo. Further development of water policy needs to be transparent, include more stakeholders and acknowledge and always keep in mind the health of our rivers as they are living beings that provide for others and contribute to our shared ecological success. We all need to commit to serious water conservation and reuse reclaimed water for everything, except for making snow. We also need real monitoring and reporting of water use. With seven states taking water out of the Colorado River, more water coming out of Lake Mead every year, and Agriculture using upwards of 70% of Arizona’s total water supply, we all need to rethink our priorities. In policy and practice, we all have to be made aware of the inherent connection between groundwater and surface water our rivers cannot afford any groundwater pumping. Yes, I would support a statewide law that bans discrimination against lesbian, gay, bisexual and transgender people in public accommodations like restaurants and other businesses. Everyone deserves to be treated like a human being. We could all accomplish more if we spent more time acknowledging and practicing gratitude for our diversity instead of spending so much time finding creative ways to express hate and contempt for others. No, I would not support a statewide or local law to allow business owners and others to deny services to customers based on religious beliefs. Society can’t benefit any of us if we empower businesses and others to enact segregation and discrimination based on fear and hate. Our growing economic divide is not an accident. Corporations are sitting on record amounts of cash that they refuse to pay taxes on, and the wealthy have come to count on an annual handout from Governor Ducey and Republican lawmakers. Sustainable growth should focus on investing in our workforce through the creation of better-paying jobs; providing more childcare assistance for more families so they can work; requiring employers to give employees predictable schedules; and finding ways to provide higher living wages. Longer term, every job should acknowledge and help contribute to a retirement that is portable and sustainable. We must explore the possibility of lowering the retirement age and consider offering a basic income level to certain ages. I urge everyone to vote NO on Prop. 305 this November. Empowerment Scholarship Accounts were created by Republicans to siphon off public resources for private gain and to facilitate segregation. Scholarships have never covered the entire cost of private school tuition; they mainly help to subsidize the wealthiest families who could already afford to choose a private school. People wishing to segregate their child's education don’t need even more of your public money to make it more affordable. As I’m campaigning, I educate my voters about how vouchers are draining money from our public schools leaving them in awful situations that are not conducive to learning. I ask voters to please vote NO on Prop 305; vouchers are hurting more students than helping. As much as Trump, Ducey, and the GOP would like you to believe, the US is not under any existential threat from our neighbors. If we were serious about building a better relationship with Mexico we could help advocate for better trade policies that are less one-sided and contribute more to shared success. If we’re going to continue to let capital and trade more so freely between borders wreaking havoc to foreign economies, we should re-evaluate the worker's relationship to the border. When we subsidize our farmers so that they can afford to undersell other farmers in a global market, local farmers aren’t able to compete on a level playing field, and their workers soon find themselves out of work with no choice but to migrate. Instead, we must work to recognize how integrated our economies actually are - Mexico and Canada are Arizona’s largest trading partners - and enact trade policies that allow everyone to prosper. Our Republican-controlled legislature has not done enough to address sexual harassment among our membership. There was no attempt at providing evidence-based training for dealing with discrimination in the workplace, and even with questions the whole hollow powerpoint presentation didn’t even last half an hour. Sexual harassment is the symptom of a more significant problem. We won’t stop the physical, verbal, sexual, emotional and psychological assault that girls and women have to live with from the cradle to the grave until we pass the Equal Rights Amendment and rebalance power. Not enough has been done to provide for higher education. Tuition is becoming increasingly unaffordable, and this problem is only going to get worse now that the Republican-led legislature has completely defunded our community college system. Though our constitution mandates affordable higher education, our Republicans have continually walked away from the responsibility of maintaining a robust and equitable university system. The result of these cuts to education is an entire generation of students who will now be saddled with insurmountable debt for the majority of their adult lives. This means less home-buying power, increased struggles in providing for a family, and the real potential of never being able to save enough for retirement. We could help future students by offering tuition-free college at our community colleges for those who can’t already afford tuition. Global climate change and purposely killing off our last rivers are the greatest threats to Arizona’s future. I embrace the heat and accept it as part of the reality of choosing to live in a desert, but Arizona’s Republican policymakers refuse to acknowledge we live in a desert by never enacting any strategies to increase and promote conservation. We have to require cities to cut back their water usage. State agencies need to create rebate programs to replace water-guzzling appliances with high-efficiency ones. All golf courses, campuses, and cemeteries need to cut their water use, and any new development needs to install efficient systems if they have to irrigate with drinking water. But first, we have to discourage water waste with higher fees and costs for activities that shouldn’t be happening in the desert.